The Mandalorian Empire's history begins with the Old Republic; the Republic was expanding as colonists left the core worlds settling new worlds. Many new colonies were being set up successfully, and the routine was becoming perfected with planets such as Corellia, Alderaan and Chandrilla being founded around this time. The Starship Mandalore set off for a new system filled with ten thousand colonists, but a malfunction in their hyperdrive unit forced a massive mis-jump carrying the ship a large distance across the galaxy. Emerging from hyperspace they found themselves in a star system with a single habitable planet, landing on this world their drive systems failed completely causing the ship to plummet onto the surface killing almost 50% of the people aboard. The time following the crash was difficult for the survivors, while the planet was habitable it was not a comfortable world to live on. They had crashed in a large desert so the survivors split into three groups, the first decided to remain with the wreck of the Mandalore, the second headed west towards a set of mountains, and the third headed a great distance to the south towards an ocean. These groups were the beginning of the Mandalorian clan structure that still exists, the largest group that had headed for the mountains became the mining clan Ar`Klim, the religious clan D`ael`mor. 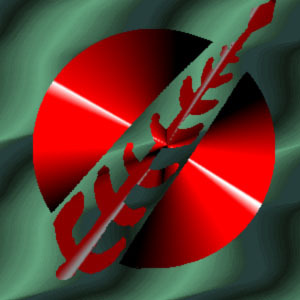 Those that headed for the sea became the hunter clan Krei`ger and the warrior clan Par`tay`on. Those that remained with the ship became the warrior clan S`badai, the engineer clan Du`trachek and the clan of the emperors K`yltek. Because the S`badai, Du`trachek and the K`yltek clans remained with the wreckage of the Mandalore they gained a control over the other clans, using the ships wreckage to maintain and build technology. As the population grew and the planet became more heavily populated the K`yltek clan used this to form the Mandalorian Empire, passing from their more ancient tasks of trading and negotiating to the task of rulership a hold that still is maintained now. After a thousand years on their new homeworld the five thousand original surviving colonists had grow to 5 million, but the small gene pool that they were all descended from caused the traits of the original five thousand to become magnified. Firstly the harsh conditions, and the feeling the republic had abandoned them became the foundations of a violent temperament that exists throughout the Mandalore. To counter this their civilisation became very honour driven formalising combat and battle to a point where it no longer endangers their entire civilisation. The fact that none of the colonists were force users or even force sensitive has become magnified into a strong resistance to the manipulations of the force. 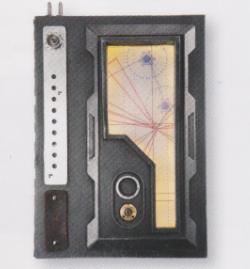 Also around this period they were contacted by the Juannar, the first contact did not go easily and the Mandalore resisted their first urges to destroy these visitors. They accepted that the Juannar were not hostile, and even though it took the Juannar fifteen years to learn how to communicate with the Mandalore, peaceful contact was eventually established. The Juannar lived on one of the gas giants within the Mandalore system, and were an advanced technological species although very poorly adapted to living in environments that differed to their own, requiring protective suits to survive the atmosphere of the Mandalore homeworld. 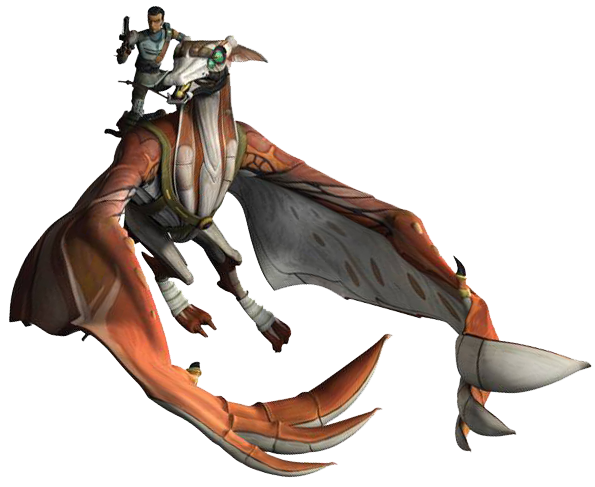 The two species found that they complemented each other very well, the Juannar could create technologies that the Mandalore couldn't even comprehend the principles behind, where the Mandalore were a tough and robust species capable of operating in environments that the Juannar could not. With the help of the Juannar the Mandalore prospered over the next two millennia, their population climbing into the billions, as they constructed massive cities and space stations throughout the Mandalore system. Then the Vuana arrived, a war like species they had conquered themselves a moderate sized empire of twenty or so systems, and had enslaved four species. They attacked the Mandalorian system and although the Juannar and Mandalore managed to fight them off, their system was in ruins, many cities had been bombed into oblivion, and none of the settlements they had constructed still existed. As they rebuilt they also prepared for war, if one attack could happen they reasoned they others could. So for the next three thousand years they rebuilt and armed, expanding beyond their system for the first time they came into conflict with the Vuana and finally destroyed the last Vuana and the species that had aided them in their attack on the Mandalore. This set the Mandalorian psyche for generations to come, to protect themselves they would have to be more powerful than anyone else. So they began to expand carving out colonies in star systems around their home, and expanding outwards so they would never have to suffer an attack like the one they had from the Vuana. For almost two thousand years this continued, the Mandalorian Empire expanding until it contained over fifty star systems, then their expanding border met with that of the Republic. The Mandalore incensed over their abandonment by the Republic began to wage war on their former homelands, a condition that continued for thousands of years, however compared to the countless systems that made up the Republic the Mandalore were small indeed. The only time over the following millennia that the Mandalore even slowed their attacks and wars with the Republic was to battle an ecological menace when a meteorite caused serious damage to the Juannar homeworld, which took all of the Mandalorian Empires resources to combat. Recently the Mandalore were forced to turn their attentions away from the Republic as they faced a new enemy on their other border, The Sith. The Sith Empire's borders were also expanding, and when the two empires found they were competing for the same star systems then a war began. This has continued for fifty years, for although the Mandalore have a far superior technology to the Sith, they have no force users and they number far less than the Sith and their subject races. This situation led to the Mandalore seeking alliances for the first time in their long history, the perfect alliance seemed to be with the remnants of the Galactic Empire. Like the Mandalore this was a military empire that held was an enemy of the newly reborn Republic, but the Mandalore found the Empire to be treacherous and lacking in honour. When they discovered that the Galactic Empire was having discussions with the Sith, it was the final straw for the Mandalore, they had always found the Republic to be an honourable enemy, and they now faced the same enemies, so the Mandalorians began to seek conciliation with the Republic. 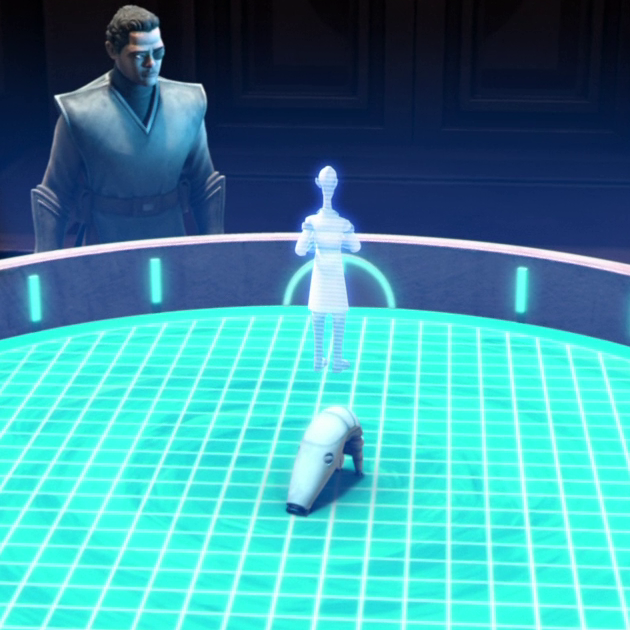 At first this was tentative, with an agreement to exchange information on the Sith being as far as the Mandalore were willing to go. But when the Republic ambassadors intervened in an attempt on the Mandalorian Emperors life, an alliance to defeat the Sith was formed, which has at least managed to survive its first year. 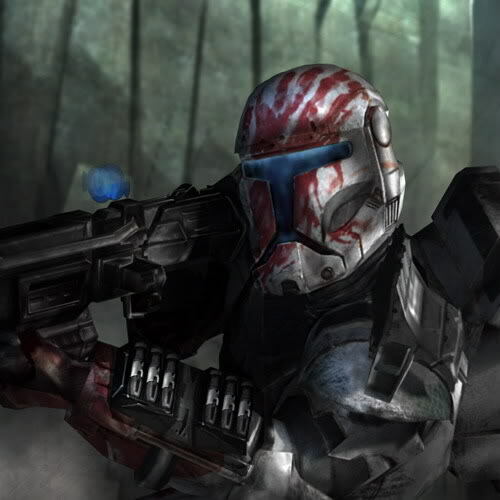 The Mandalore are actively working to maintain their alliance with the Republic, as they have been impressed with the honour and bravery of the Republic officers and men they have worked with. They are attempting to wipe out the Sith completely, and could be interested in making their arrangement with the New Republic a permanent situation, although they have no intention of joining the Republic as this would threaten their independence. The Juannar are still interested in maintaining their friendship and mutual aid agreements that they have with the Mandalore, although they have little interest in the Republic beyond its help in protecting the Mandalorians and Juannar. Elements of the Mandalorian Empire respect the power and strength of the Greater Sith Empire, and would like to ally with them instead of the Republic, keeping the hostilities going as they have for countless millennia. However this is a point of view that disgusts most of the military, and is totally contrary to the Emperors wishes so these factions remain quiet. As the war against the Sith drags on, the Mandalore feel that it may be necessary to begin sharing some of their technological breakthroughs with the Republic, and as the alliance lasts longer the trust necessary to do this stands a better chance of existing. However the independence of the Mandalorian people would mean that they would object to a complete hand over of all technology and specifications, so this exchange of technology would likely be a slow process. Text completely by FreddyB. Image is copyright Lucasfilm and remains with them. in the game when your going to attack a plantet in order to help the queen of the planet/or a general in her army, who wants her thone. when you attack, every one flees, and are yelling: The mandalorians are attacking, help us!!!. Mandalore himself, says its good to see that people still remmber mandalorian empire.